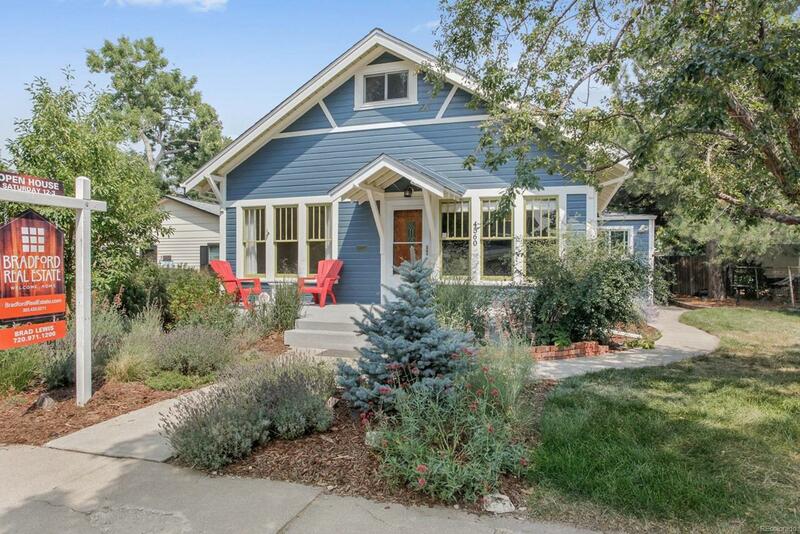 Wonderful Craftsman Bungalow in Berkeley neighborhood steps to Berkeley Park and all the happenings this area has to offer! Charming original character throughout, beautiful original windows allow tons of natural light, updated kitchen with leathered granite counter tops and stainless appliances. Builtin breakfast nook, main level laundry, and main level master bedroom with large closets. Front dining room makes a great office, den or potential bedroom. Central AC. Original claw foot tub in bathroom, 2 small bedrooms upstairs, usable basement space makes a great hobby/craft room. Large 6,250 lot allows for tons of backyard fun and entertaining. Property is zoned U-SU-C1, allowing for an accessory dwelling unit. Don't miss this one!